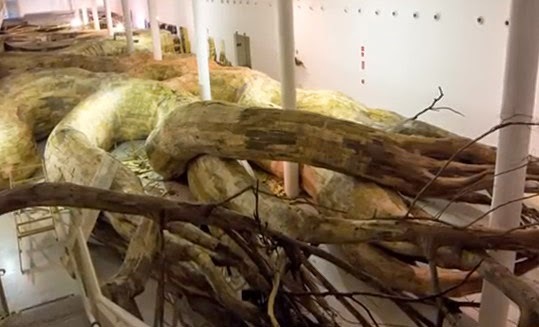 Transarquitetônica by Henrique Oliveira (b. Ourinhos, São Paulo, Brazil, 1973) is an immersive installation covering much of the Museu de Arte Contemporânea da Universidade de São Paulo, Brazil (26 April - 30 November 2014). 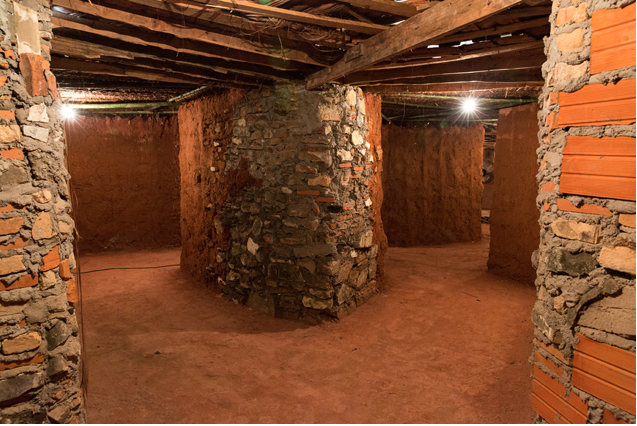 Multiple entry points invite the audience to walk inside the work's hollow chambers. One end of Transarquitetônica comprises well-lit interior spaces set within whitewashed walls. 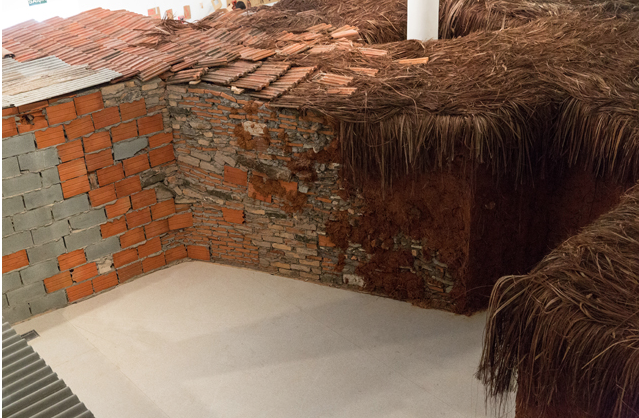 Echoing favela architecture, areas with shabby brickwork and palm leaf roofs are then exposed. 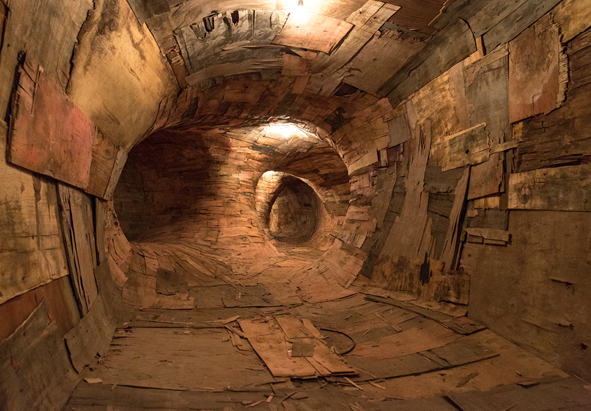 A maze of serpentine tunnels with repurposed plywood paneling resembling overlapping brushtrokes follows. 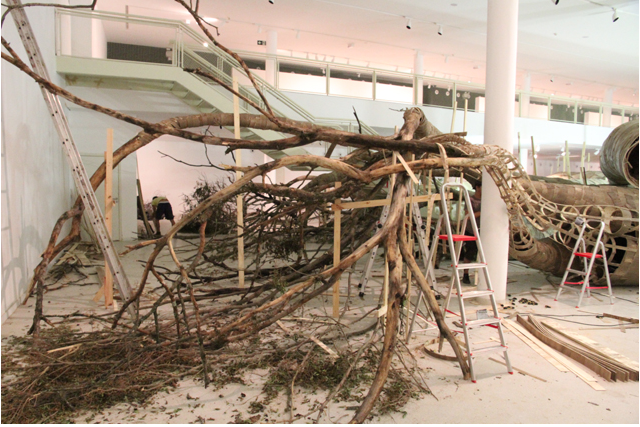 As the rootlike structures become ever-narrower, actual tree branches start to stick out of the piece. 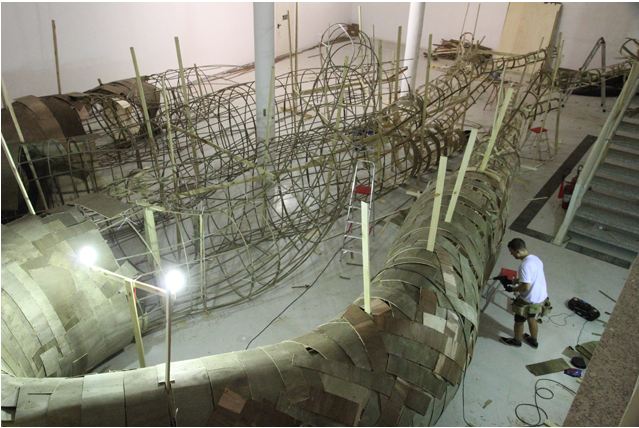 By evoking nature and the evolution of architecture, Transarquitetônica not only explores its own form and materiality but also plays with the architecture of the museum itself. How society views the favela comes into question as well.